The Global Britain: A Twenty-First Century Vision report, co-authored by Bob Seely, and published today, pitches that the UK’s approach to Overseas Aid should be radially overhauled. It came to light yesterday (Sunday) that Isle of Wight Conservative MP, Robert Seely, has co-authored a report that seeks to change the UK approach to funding overseas aid. The report – co-authored with James Rogers, a founding member of the Henry Jackson Society think-tank (background)- has three forewords, one by Boris Johnson, leading to the ex-Foreign Secretary being interviewed this morning on BBC Radio 4’s Today programme about it. The report – referred to as a pamphlet by Johnson – Global Britain: A Blueprint for the 21st century, was only made public at midday today, so coverage of it and details have been limited. With the paper now public (see below), you are able to read it, to come to your own conclusions. One of the report’s forewords was by Labour politician, MP Ian Austin, who recommended the report. 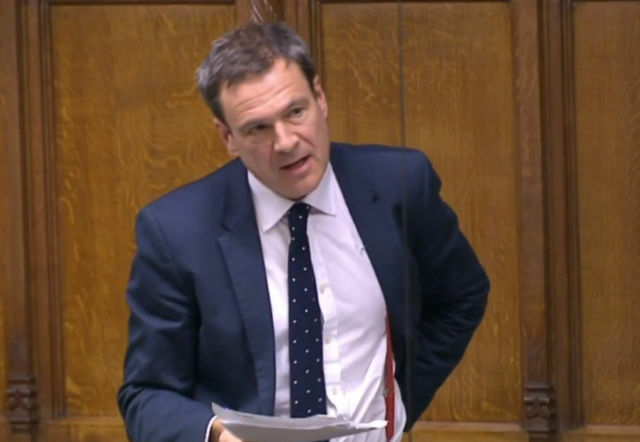 Bob Seely has previously signalled some of the ideas covered in the report previously in a response to his constituents who wrote to him about the importance of International Aid. The Henry Jackson Society, describe themselves as “a think-tank and policy-shaping force that fights for the principles and alliances which keep societies free.” Wikipedia’s entry for them describes them as a neo-conservative British foreign policy think-tank. They’ve previously worked with MP Seely, when he published a paper, ‘A Definition of Contemporary Russian Conflict: How Does the Kremlin Wage War?’, through them in June 2018. In November last year (2018), Seely also organised for a HJS event to be hosted in a Committee Room at the House of Commons, The Future of ‘Global Britain’ as a ‘Seapower State’, where one of the speakers was James Rogers (The recent report’s co-author), who was billed as Director of the ‘Global Britain’ Programme at the Henry Jackson Society. Click on the full-screen icon to see larger version. 8 Comments on "Bob Seely publishes Foreign Aid report seeking to change UK approach to funding"
Hmm. Haven’t had time to read the report yet. But anything endorsed by Boris Johnson is likely to be dangerous stuff, pretending to help people while actually serving the interests of the rich and powerful. Boris, partly famous for his “f*** business” policy, now apparently also promoting a policy of “f*** foreign aid”? Bob knows precisely what he is doing, he is seeking to deliberately create a much welcomed deviation at a critical time within Government, which his Parties Leadership I am sure will reward in due course, if it remains in power. The NASTY party just get more and more nasty. I wouldn’t be surprised is Seely supports his Dorset colleague Christopher Chope in his rejection of the FGM amendment. Anyone voting for this person or this party needs their head examining. Listening to Bob Seely on the Radio 4 Today programme this morning, with only 15% of the UK Foreign Aid Budget going to life saving and 15% to Development, Bob’s paper seeks to rethink U.K. Foreign Aid Policy and makes the case to move money from the U.K. Foreign Aid budget to the Ministry of Defence and Foreign Office. Perhaps Mr Seely should reconsider his position as the island MP as he clearly spends more time on writing papers to be published than he spends writing to his constituents.